With the subject of Indoor Air Quality becoming more prominent and recognised throughout many different industries, it’s become essential to be able to accurately monitor low levels of indoor pollutant gases. 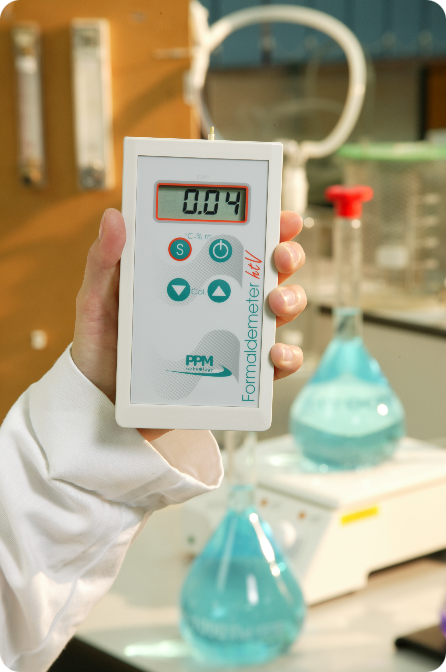 he htV-M can precisely measure formaldehyde concentrations in parts per million (ppm) and mg/m3 over a wide range of temperature and humidity. Fast and easy to use, pressing a single button gives an immediate indication of concentration levels. 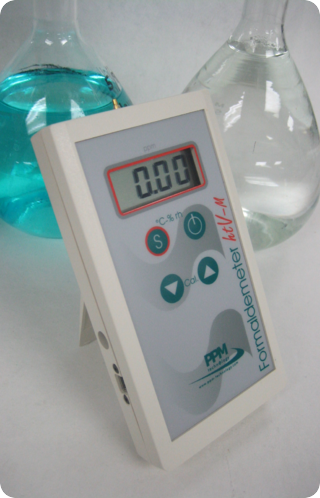 The improved Formaldemeter htV-M is reliable and simple to calibrate, and the compact size means the htV-m is small enough to be used as a hand held device. The built in memory and real time clock enables the htV-m to log all 3 parameters and corresponding times, allowing improved monitoring and analysis opportunities. 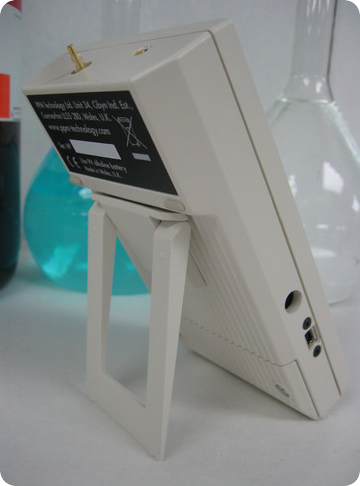 Alternatively a PC can automate the sampling and log data at specific times by a direct or wireless connection. This is advantageous as it allows the user more freedom and is a cost effective approach to taking such measurements.